The flowers above have been greatly reduced. Not all are shown. The actual flowers have no drop shadows. 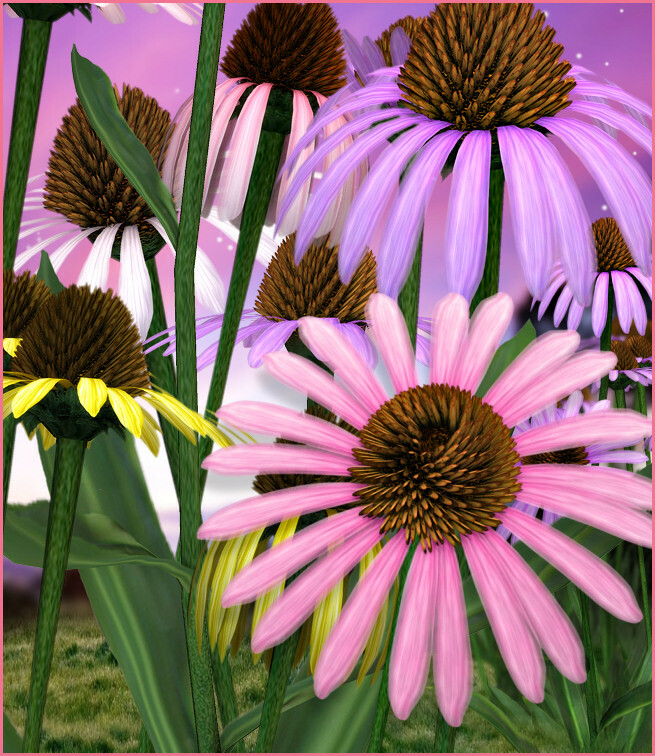 Coneflower Tubes. 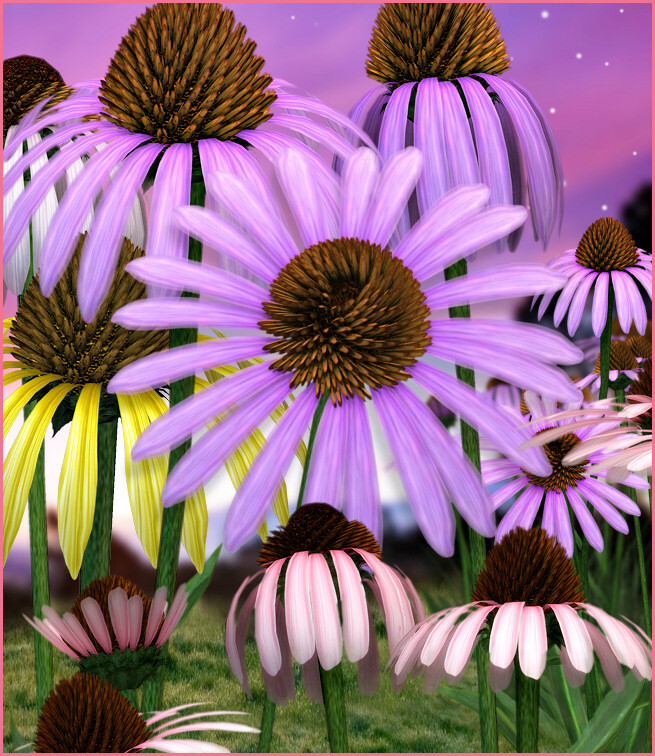 Create beautiful designs with this huge package of coneflowers. 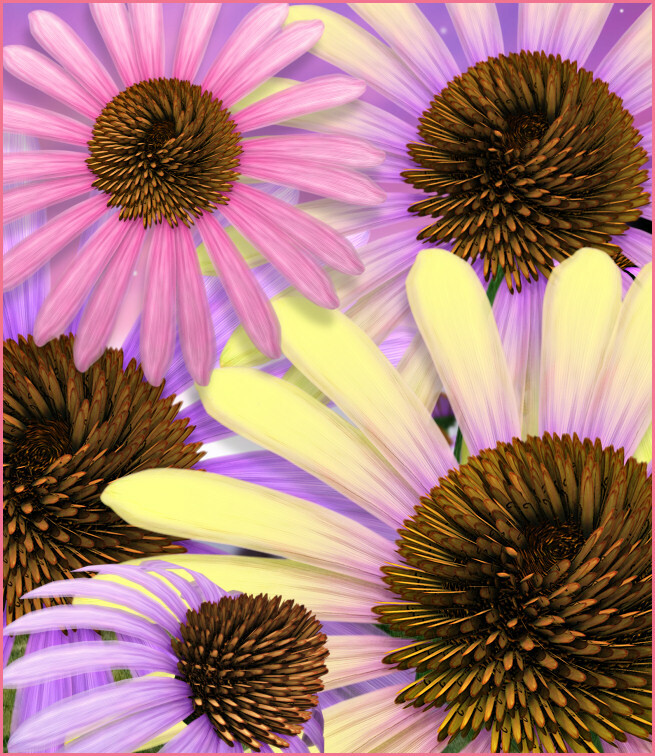 There are four color themes–lavender, white, pink, and yellow. Some have leaves some don’t, making them more versatile for the creation you have in mind. Some are single flowers, while others are grouped. I’ve also included several stemless, leafless blossoms, which would make the perfect addition to numerous types of projects. A large version of the seamless tile on this page is also included. I used them in my Graceful Horse Package. The size of the graphics are approximately 1200 X 1800 pixels. All are 300 DPI, making them great for print projects. This package is two zip files which are approximately 33-47 MB each.